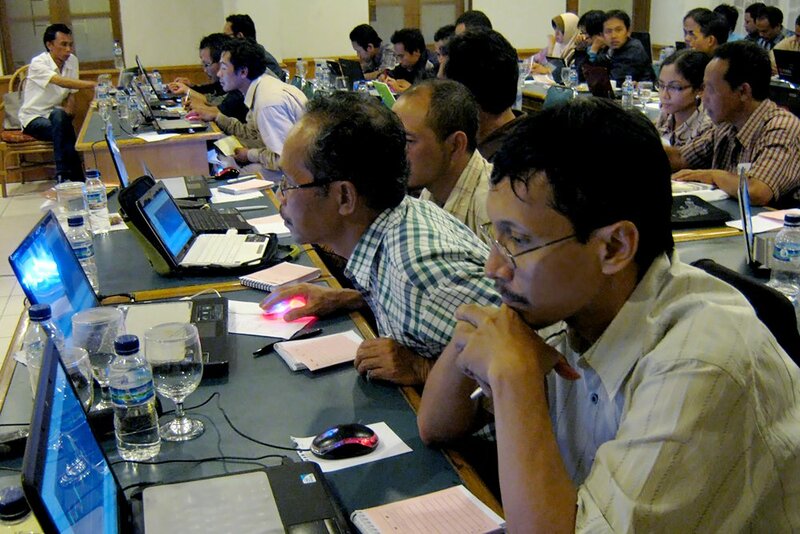 InstaFX Education Centre held a workshop event on May 12 – 13, 2011, at Surya Asia Ballroom Hotel Wonosobo. This time, InstaFX Education Centre collaborated with Insta4ex Banjarnegara and WTH (Wonosobo Trading Hall). The workshop was attended by 63 participants and 2 members who joined during the preceding workshop. There are various kinds of participants: some of them are newbies, some have known Forex rather well and others are interested to invest their money. It was a challenge to InstaFX Education Centre to promote a Forex workshop in Wonosobo, because public opinion judges the Forex retail market. InstaFX Education Centre was very concerned about this case. That is why InstaFX Education Centreseeks to provide forex education, especially for Wonosobo communities at workshops like that held on May 12 – 13, 2011. With the help of this workshop, InstaFX Education Centrewas hoping to make participants understand what Forex trading is, how to manage risks and many more about trading on the international currency market. During the first Forex workshop day Mrs. Irma from the Wonosobo Trading Hall spoke about the basics of forex transactions. On the second day, the topic was continued by Mr. Abiyanto Kurniawan, one of the teachers of Semarang InstaFX Education Centre, talking about risk management on Forex. The workshop participants were looking really interested and enthusiastic. The various data, experience, transaction strategies and also risk management techniques were shared at this event. Another thing to be mentioned is that the participants automatically became lifetime-supported members. They can enjoy the facilities by simple clicking on www.instafxschool.com. This is the place for learning Forex for all people who want to have profound knowledge of forex trading. This entry was posted on Monday, May 23rd, 2011 at 2:58 pm	and is filed under Events. You can follow any responses to this entry through the RSS 2.0 feed. You can leave a response, or trackback from your own site.